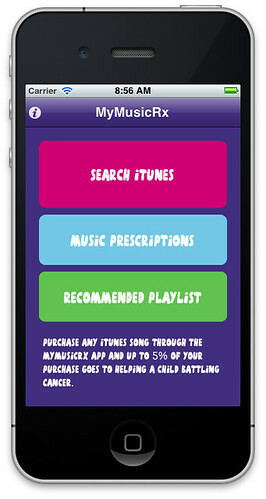 The MyMusicRx app that Bruce, Matt, Ben, Gayle and Elguji developed is a part of a very strategic initiative for the Children's Cancer Association. 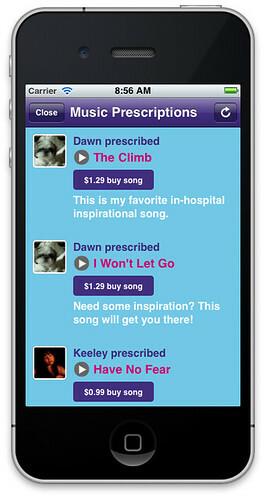 This app enables music lovers to support and soothe seriously ill kids with the purchase of a song. Bruce and the team were so easy to work with and surpassed our expectations in their ability to execute against our vision. I highly recommend them for their ability to understand their customers needs. Looking to have an app built for iOS? Today we added a new page to the Elguji site which covers our iOS native app development offering. 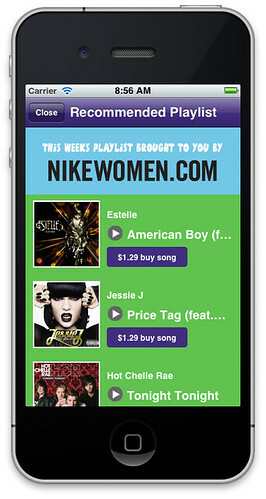 It also features three apps that we built which are available in the iTunes App Store. We also want to emphasize that we specialize in integrating IBM Notes and Domino data sources including extensive knowledge of XPages. Not using Notes and Domino - not to worry. Integrating your iOS app with other vendors technolgies is not a problem. Hi this is Gayle from Elguji. We are a four-year old, bootstrapped and very profitable little company. In order to help companies get on the social business software bandwagon, we make three products called IdeaJam, IQJam and LinkJam. We sell them for IBM Notes/Domino environments, as a cloud service and as a set of standalone applicatons. We are looking for some freelance developers who can help with these products as well as some new things that we have in the pipeline. We also have customers who are wanting customizations and wanting them fast. All freelance developers will work under the leadership of Elguji Lead Developer/Architect Matt White. IMPORTANT: If you've read so far and are thinking: this isn't for me, please think for a moment about someone else you know who'd be perfect for these jobs and pass them this link! Even if you're not totally sure, we'd be super-grateful if you could send out an email or two, or even a Tweet! Send your resume/CV and cover letter to cooljobs@elguji.com and good luck!